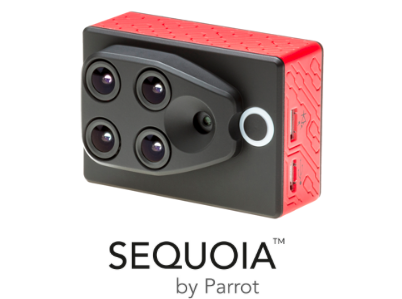 Multispectral cameras are a revolutionary technological solution for agricultural remote sensing and imaging. The spectral bands of these cameras are capable of delivering precise information targeted to agricultural applications. Before I get into the camera itself, let me tell you a little bit about multispectral imaging for agriculture in general. Multispectral imaging provides information that the human eye is unable to see by capturing image data of different wavelengths of light. Through multispectral imaging, we are able to capture these spectral bands in order to indicate several agricultural characteristics. With the captured data, farmers are able to monitor and manage their crops more efficiently. Here is a simple step-by-step guide to begin using the MicaSense RedEdge® for your very own agricultural applications. F.	Hold either a Part 107 FAA RPIC certificate with a sUAS rating, have an FAA Section 333 approved petition with a Blanket COA, or some other legal means to operate commercially in US National Airspace. The very first step of using a multispectral camera is to understand how it works. Multispectral cameras work by displaying different wavelengths of light using multiple imagers that each has a special optical filter that allows only a specific set of light wavelengths to be captured at a time. Once captured and processed, a set of images for that particular wavelength is created. All of the sets are then stitched together to create geographically accurate collages. By precisely combining these layers, vegetation indices are produced that measure different characteristics of a plant. Easy 1-2-3 step process… Once successfully uploaded using MicaSense’s Uploader Application, you’re ready for what seems to be the most difficult aspect of using a multispectral camera: analyzing the information that you collected. I would say it is safe to assume that most of us don’t have a PhD in agriculture or crop analysis, but fortunately, analyzing the captured data is actually made quite easy for us by the technology of the ATLAS program. The ATLAS program uses your data to create vegetation index and crop health maps for you. So all you need to do is interpret and understand the condition of your field and its crop health. With your process map completed, you can see the crop health through the measurement of chlorophyll content as well as the biomass of your crops. To view the chlorophyll content use the NDRE measurement, this can be seen by simply checking that box. You can measure the strength and weakness of your crops’ chlorophyll contents using the color-coded NDRE measurements. The optimal measurement of chlorophyll content is measured as 0.80, which is represented by a shade of dark green. With this tool, you are able to see which areas of your fields are flourishing and which are not so healthy. By viewing the NDVI2 map, you are able to view the biomass of the crops, which is helpful for determining the size of crops. 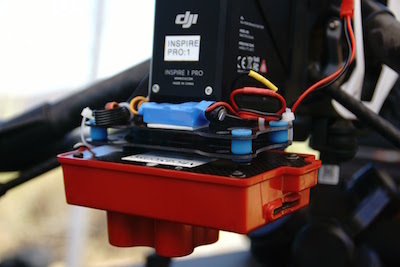 In addition, you are able to lay the NDRE and NDVI2 maps over each other by checking both boxes. By doing so, you will be able to measure how crop size and vigor compare to the chlorophyll content within your fields. So, once you have collected the data with your sUAS and multispectral camera, all you need to do is let ATLAS take care of the rest, and then use your results to improve your crop harvest yields across your fields! No need to wait! 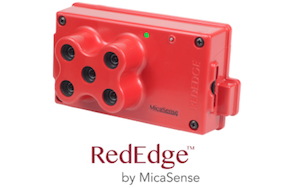 Purchase your very own MicaSense RedEdge® Multispectral Camera and RedEdge® – Inspire Mounting Kit today! Comment below or contact me with your success stories and/or for support with any challenges!